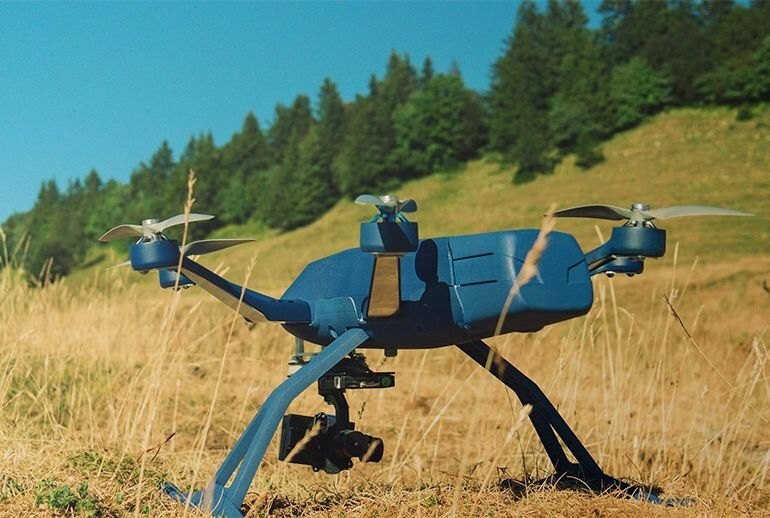 Semi-autonomous flight means the Hexo+ can replace a helicopter and film crew to record you from the air. The drone appears fairly rugged and can handle minor scrapes in the field using easily swapped parts. It's strong enough to remain stable in moderate wind and light snow, and its 45-mph top speed means you can't outrun it. There's no collision avoidance built in, so you'll need to steer clear of trees and other obstacles. It isn't designed for general recreational flying; it is meant to fly on its own and track you, period. The Hexo+ is little pricey; the system doesn't include a camera, which you have to add. The weakest link in any motorized vehicle--car, train, rocket, or drone--is the human operator. 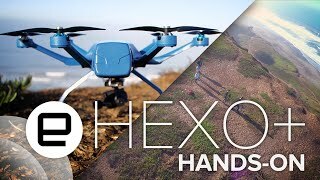 So the Hexo+ from Squadrone System is among the first drones to pose the question, "Why not remove humans entirely and let the drone fly itself?" The Hexo+ is a six-rotored, semi-autonomous hexacopter that locks onto and follows your iOS or Android phone on command. 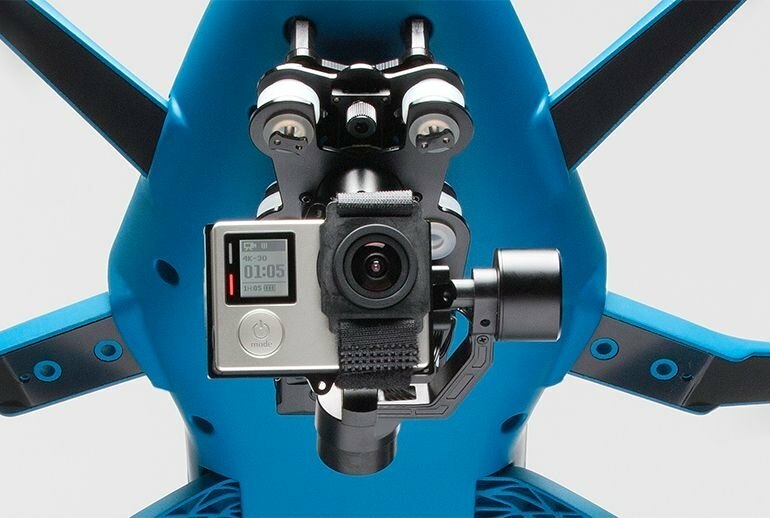 It's designed for sports enthusiasts who want to be filmed from the air while they participate in biking, skiing, or other extreme sports. 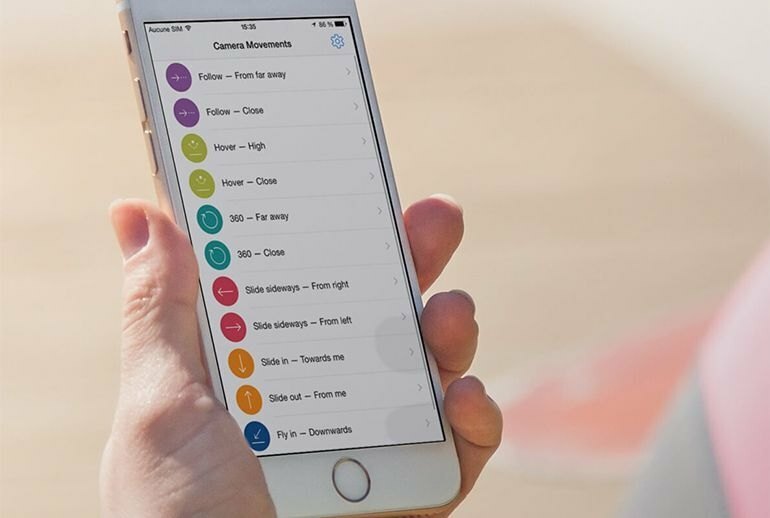 The drone accepts simple commands from your phone; you can tell it how close to follow and when to swoop in or spin around you. 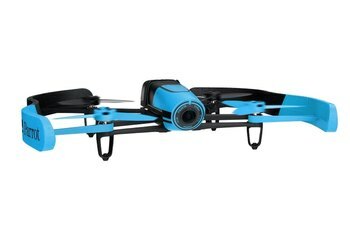 It has about 15 minutes of flight time on a full charge, and can land on its own when the battery runs low. In the event of disaster, the landing struts and propeller blades are easy to replace in the field. As a new form of the ultimate selfie, the Hexo+ doesn't disappoint. The easy to use app on the phone makes choosing your shot a breeze and the device frames the shot surprisingly well. 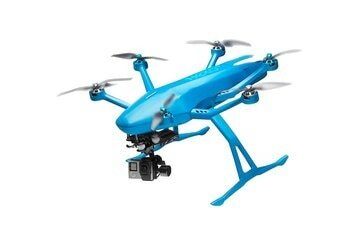 Most of the new drones we’ve seen are either too expensive for normal people, or they’re cheap and lack compelling features. 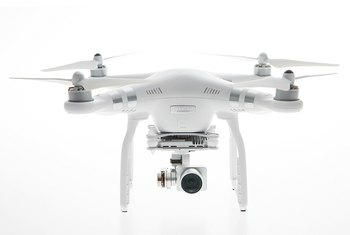 But after hours of searching we’ve found the one drone you should pay attention to in 2015: The Hexo+. 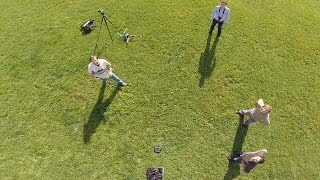 This semi-autonomous aerial camera platform pairs to your phone via Bluetooth and faithfully tracks movement, keeping you (or at least your phone) centered in the shot. On the app, you can choose how closely you want the Hexo+ to follow you, which determines the framing of the recorded video. You can save your framing preferences within the app. Hexo+ can also be preset to perform timed camera movements such as circling or zooming forward or back. The current HEXO+ prototype has a top speed of 70 km/h (44 mph), a flight time of 15 minutes per charge of its battery, and can maintain a shooting distance of up to 50 meters (164 ft) from its user. Additionally, its six propeller arms can be folded back and the props removed, for easier transport. Admittedly, I went into the demo with Hexo a bit unsure how a fully autonomous (i.e. no controller) drone would fare in the enjoyment department. 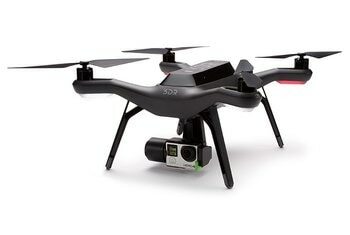 After all, much of the inherent pleasure of flying a drone rests with the sheer ability of actually piloting the thing. However, my skepticism quickly subsided after seeing the Hexo+ quickly react and respond to the application’s set of movements. With Hexo+, there is no need for a remote control since it will follow your every movement. 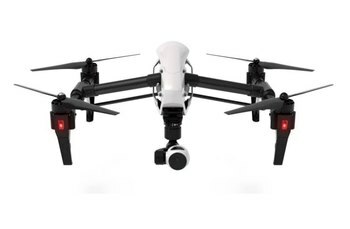 This particular drone features extra stable footage with the help of 2D or 3D brushless gimbal. Essentially, you lock onto your film subject, make sure there’s a GPS signal, and the drone’s signals and internal processor take the job from there. Impressively, it can do all this while whipping by at 45 miles per hour. The Hexo+ is built for action sports, following a snowboarder down a hill or a surfer riding a wave. You use the app to select its position, orientation, and movement. It can follow you, track you while hovering in place, or perform maneuvers like a 360-degree orbit or pan from left to right. 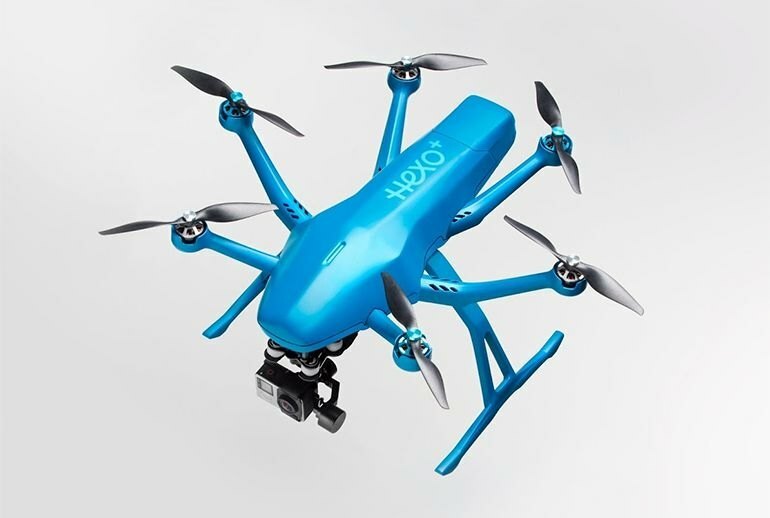 The HEXO+ drone and its companion app use fully autonomous flight to create unrivalled imagery.